W.T. 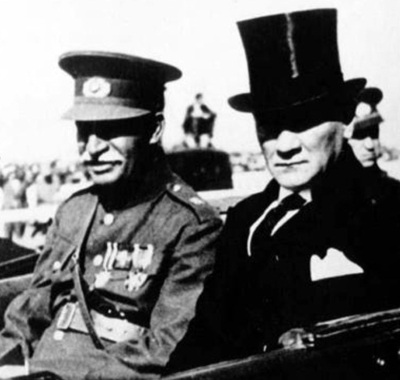 title: "Middle East rivalry between Iran and Turkey interminable"
Ruthless modernizers: Iran's Reza Shah (L) visited Turkey's Atatürk in 1934. 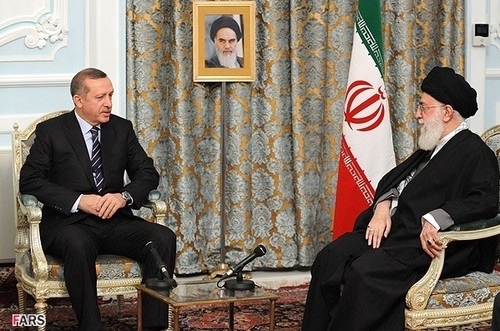 Even more repressive Islamists: Turkey's Erdoğan (L) visited Iran's Khamene'i in 2012. 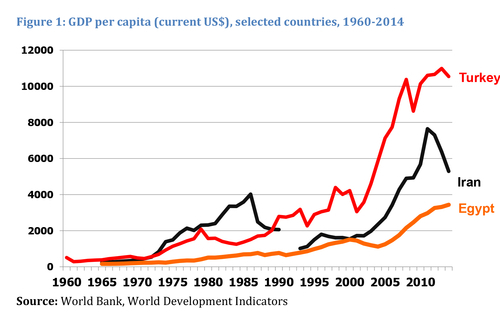 Select economic indicators (World Bank). Aug. 23, 2017 addendum: I researched in depth one aspect of Ottoman-Safavid tensions – the Shatt al-Arab River – in a 1983 chapter, "A Border Adrift: Origins of the Iraq-Iran War." 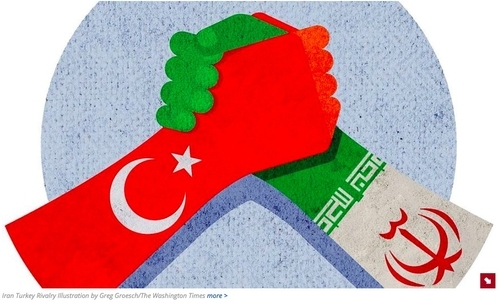 Aug. 25, 2017 update: Amir Taheri offers a more positive take on Iran-Turkey relations at "Puffing the Turkish Chibouk in Ankara," stressing such common enmities as the Soviet Union and the Kurds.